We are proud to announce IP-Coster network participation in the London IP Summit being held at London Stock Exchange on October 13-14, 2014. 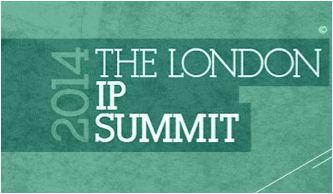 The LPS - London IP Summit, now in its third year, is a unique event dedicated to bringing together IP owners, experts and investors to address key challenges and operational issues faced by companies and IP professionals today. We invite you to visit our booth №8 for a showcase of our complete scope of services (tools, network features). IP-Coster Network is open to discuss and provide full information on the prospects of cooperation between our companies. Our representatives will be there to assist you with any quieries you may be interested in. So please feel free to explore the advantages IP-Coster Network offers for IP protection activity. Please contact us today to schedule a meeting during this event.